A collection of thoughts on my varied interests - Paintings, Portraits, Indian Traditional Veg Recipes, Bollywood Retro Songs review, Cryptic Clues and Crossword Puzzles, Poetry, Creative Corner etc. 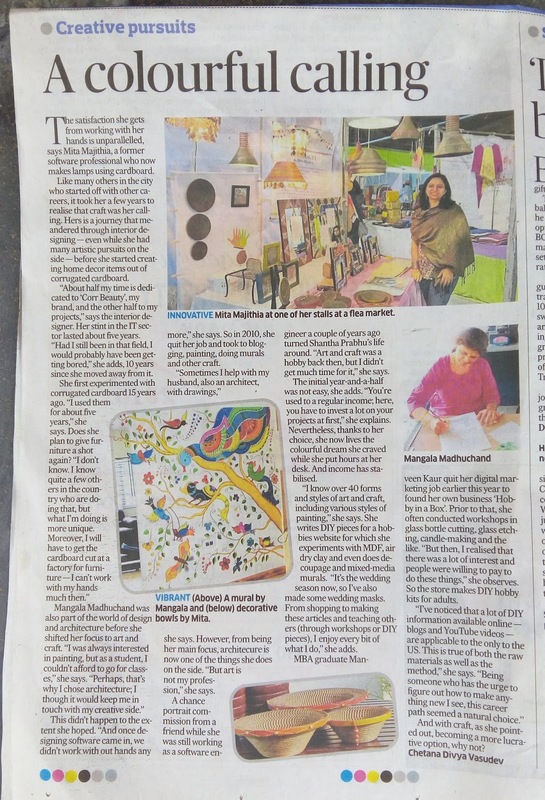 Thank You Deccan Herald for carving out precious space in your esteemed newspaper to feature my....yes, as rightly titled "Colourful Calling". You may also click http://www.deccanherald.com/content/585544/a-colourful-calling.html to read the article. 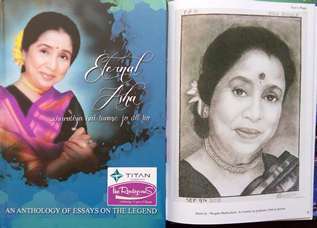 My portrait of Asha Bhosle published in Coffee Table Book titled "Eternal Asha"